The following post has been contributed by writer, director, and producer Sean Horlor. Imagine if you could’ve chatted with Tarantino as he was writing the script for Reservoir Dogs. Or debated Spielberg on what kind of alien he should create for ET. CineCoup Film Accelerator — a Vancouver-based company — is giving film fans the chance to do exactly that. Over the next eleven weeks, you can watch, rate and vote for 90 Canadian filmmaking teams and help select one team to qualify for a $1M production budget to shoot their feature film. The final team standing will also receive a guaranteed theatrical release in Canadian theaters by Cineplex in 2014. Not too shabby, considering only 3% of the total films screened in theaters across Canada every year are made by Canadian filmmakers. Each filmmaking team also submits weekly mission videos to showcase their talent and cinematic skills, so you can check back every week for something fresh until the winning film is selected on June 12, 2012. The CineCoup Film Accelerator is a disruptive model for indie filmmakers to develop, market and finance their feature films. 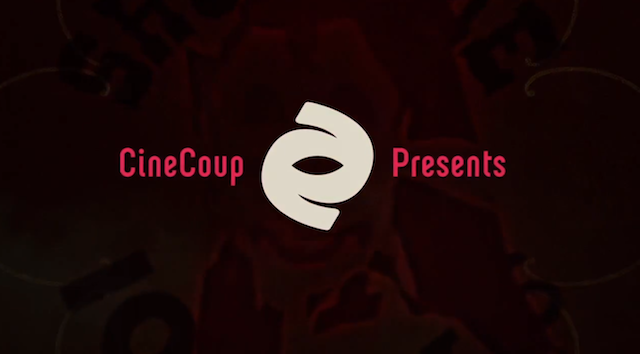 Filmmaking teams apply to CineCoup with a two-minute trailer then advance through a gamified selection funnel that’s designed to package their projects and build fan support on the CineCoup social web platform. Applications for filmmakers are now closed and we’re currently in the “Social Selection” phase until April 28, 2013. Fans on the site cast votes to set ranking for the films and can become “Super Fans“, earning more clout on CineCoup to cast votes. As one of the 32 competing teams from Vancouver this year, I can tell you that we all want to get the city behind us and help make a local filmmaker’s dreams come true. It’s also a chance for Vancouverites to get out and support BC’s film industry. Take a look at the trailer for my project below. The Mill and the Mountain is a thriller inspired by one of the most infamous stretches of highway in North America. Don’t forget to support all the other incredible, Vancouver talent in this competition by visiting the ‘British Columbia’ tab on Cinecoup’s site here. Sean Horlor is the writer, director and producer of The Mill and the Mountain. His Cinecoup teammates include Steve Adams (Director/Producer) and Sean Cox (Cinematographer/Producer). He co-founded Steamy Window Productions in 2011 with Steve Adams. Follow his film, The Mill and the Mountain, on Facebook and Twitter.